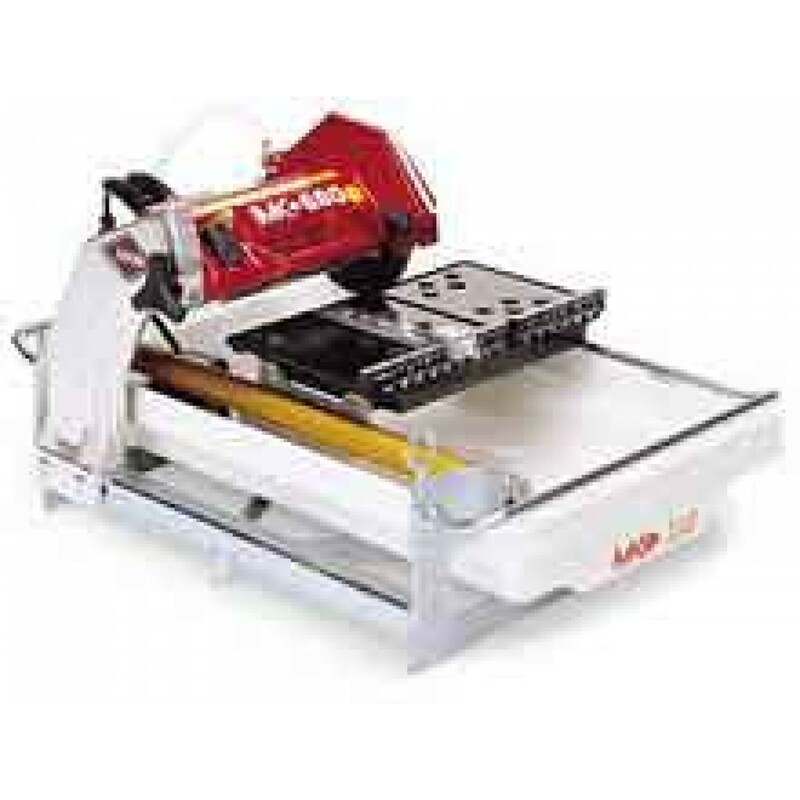 The MK Diamond 153330 MK-660 3/4 HP Wet Cutting Tile Saw comes equipped with a variable height cutting head for plunge cutting and use of blades smaller than 7" in diameter. Ideal for wet tile cutting. Power: 3/4 hp, 120V electric motor. Motor features a blade braking system. Precise alignment and cutting made possible by the chrome guide-bar and linear-bearing assembly. One-piece zinc-plated steel frame includes carrying handles. Easily change blades and inspect the unit with the hinged blade guard. Thermoplastic water reservoir can be removed. Includes a 7" diamond blade and submersible water pump.